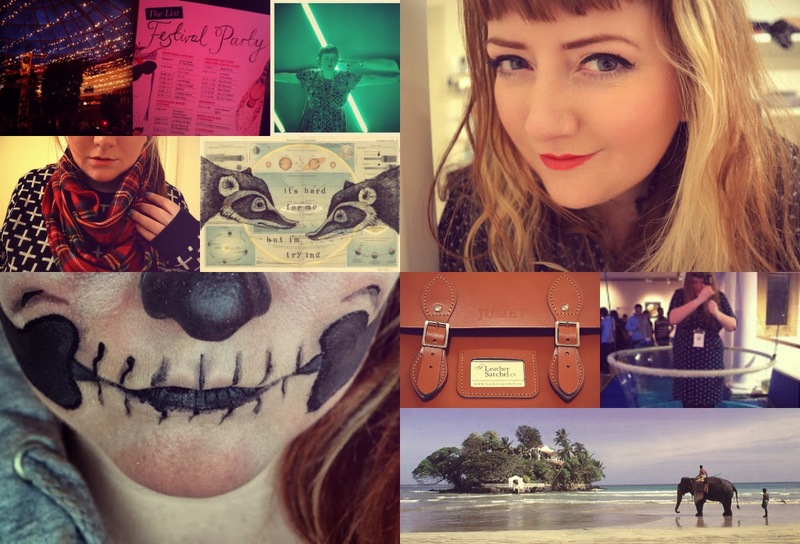 Ever So Juliet | Edinburgh lifestyle blog: Bye 2013! Okay, I know I'm a bit late to the party with 2013 round up posts, but I've got a pretty good excuse! 2013 was a mental year for me. On one hand, it feels like an absolute AGE since I wrote this post, and on the other, it feels like the year has flown by. Big things have happened. I left my job of almost six years (!) to work at a festival. My long term relationship ended, which obviously impacted pretty much every part of my life. I'm selling my home, and I'm learning that life sometimes goes in a direction that you aren't quite prepared for. But, I've also learned that I'm actually pretty tough, and I can handle big changes. I was reminded what amazing people I have in my life (I knew that anyway, but there's nothing like a big dramatic moment to show you how brilliant people are). I learned new things, spent most of my time with excellent people, painted a lot, travelled a bit, and got marginally better at not looking SO AMAZINGLY AWKWARD in outfit posts (I still look awkward, I know. Just not as bad as before). Once again, it kind of blew my mind that anyone actually reads my ramblings - and there's even more of you now! So thank you SO MUCH for reading and being interested in what I have to say. I know I'm rambly and a bit scruffy, but it is very nice to know I'm not just chatting to myself! I really admire your strength, you know. Here's to 2014.